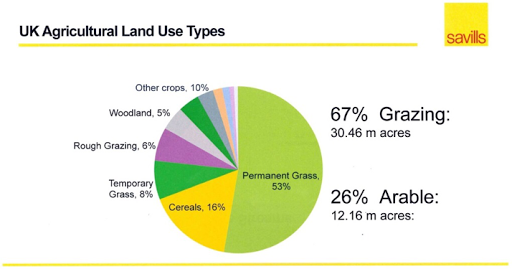 I went to a presentation by Savills on the future of farming in the UK and there were a number of slides that were unexpected - and sobering. 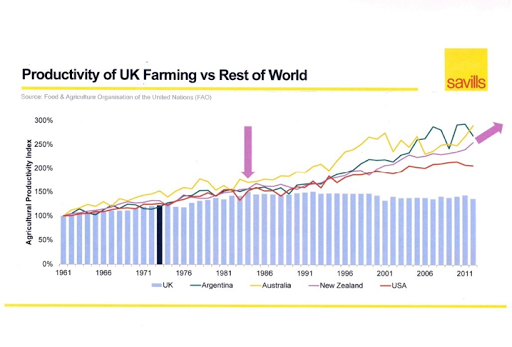 The sobering thing is how inefficient British farming was, and is, compared to New Zealand, Australia, Argentina and USA. A kilo of lamb in New Zealand costs $2 to produce. In the UK it's $4. It is interesting that New Zealand withdrew all agricultural subsidies nearly 30 years ago. 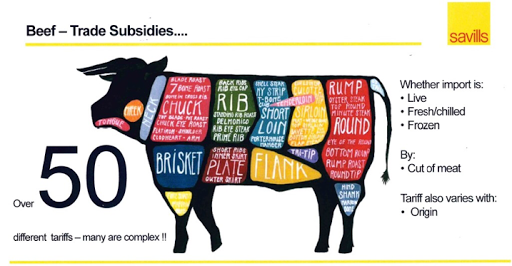 The complexity of the tariffs on beef are Byzantine. Brexit is going to hit hard as the total subsidies to British farmers under the CAP come to nearly £3 billion. In a world where everyone has their hand out for more, it is hardly likely that farmers are going to be front of the queue in a post-Brexit world. There was, amazingly, a 'Farmers for Brexit' Group, which proves that turkeys do, sometimes, vote for Christmas.